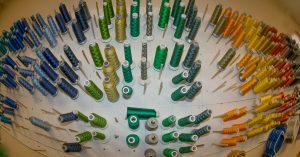 Jim’s Clothing & Sporting Goods has a great selection of thread colors to achieve the perfect look on all of your custom embroidery work. 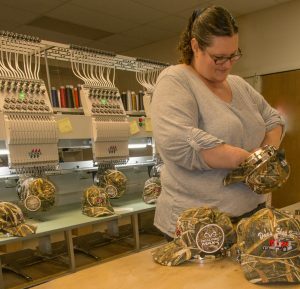 Our embroidery production team will use your logo or graphics to get the exact look you want to achieve. Similarly if you are looking for new ideas ask our design team for help! 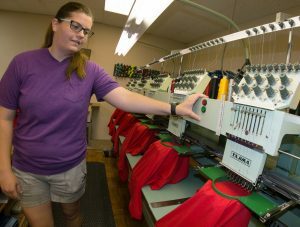 Moreover, at Jim’s Clothing & Sporting Goods we are using the latest technology to produce quality embroidery work. Similarly, our highly trained staff always works in collaboration with the client to achieve the perfect results. Equally dedicated to their craft as well as superior customer service, our team wants your product to look its best. Furthermore, they know if you look good in our products likewise our products will be good for you. In the light of day, a vast array of embroidery colors will shine through producing outstanding results. Quality embroidery stands the test of time by providing a durable result that looks wonderful for many years.